Many teachers have emailed me since this blog launched, sharing their successes with the read-aloud approaches I've provided for books such as Enemy Pie, The Empty Pot, and the Holocaust. An equal number, however, have asked about general ways of sharing picture books. Some feel unprepared to do so, having never been trained in any literacy class in their undergrad curriculum. Others simply feel that their own approach may in some way be lacking. So let me offer just a few ways that picture books can be shared in the upper elementary and middle grades. This strategy is probably as old as reading itself, and most closely mimics the reading experiences shared by many children at home with family (and for those children who have never enjoyed such an experience at home, what better place and time to start?). The close proximity, the intimacy of this approach, explains why reading picture books online feels so much less satisfying, and is unlikely to replace print picture books anytime soon. I would recommend this approach the majority of the time, no matter what the age group. Picture books create common ground. Before reading a novel set in the Depression, for example, the teacher might read aloud or show several picture books which deal with that topic. One might be illustrated with photographs and eyewitness reports, one with captioned period murals sponsored by the WPA, and one with illustrations and a narrative by a contemporary author or artist. In just a few minutes, then, students acquire a shared set of images, thoughts, and perspectives on a single topic. Pictures books help students to construct schema. A teacher wishing to introduce a fantasy genre might share a picture book which exemplifies six traits of that genre. Upon completion of the reading, the teacher asks her students to list the traits they noticed. And how best to confirm or disqualify these traits? Have the students read additional fairy tales in small groups (see below). Which trait are shared by all books? Which additional traits are discovered? Picture books can make abstract concepts (such as life skills) concrete. As teachers we are expected to teach “fuzzy” character concepts such as cooperation, responsibility, and integrity. Where are those lessons in our textbooks? Here is where picture books can play a large role. Through picture books, universal themes such as patience, empathy, teamwork, cooperation, forgiveness, fairness, and responsibility are captured in just sixteen or twenty-four pages, creating a memorable model for children who still think and generalize in very concrete terms. Lastly, of course, picture books help students develop the ability to "visualize stories" in their heads, a critical component of reading comprehension. Not visualize words, for that's simply decoding. Students who simply see words are often the students who read as if they're pecking corn from the ground. Students who can cobble those words into phrases which create pictures in their heads are the ones who will truly understand what they're reading, at several levels. This type of "mental picture making" can be wonderfully modeled by a teacher using self-reflective language a good picture book. One last note about shared reading. 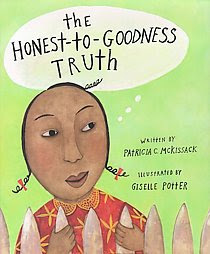 I recently read an article stating that teachers are increasingly using picture books in the upper grades (hurray!). But the accompanying photo chilled me. It revealed students seated at their desks, in rows, as the teacher walked among them, sharing the book's illustrations. Please, I beg of you, don't do this to your students! Create a gathering place where students can come and sit on the floor to partake of the experience. Nothing special at all, just floor space. Once the ritual of gathering in this space is practiced, your students (yes, even your thirteen year-olds) will gather there quickly, and will shush themselves as you join them for the reading experience. That's the way it's meant to be. This type of reading usually occurs with a specific outcome in mind. In lower grades, paired readings allow readers to practice fluency and clarity. It also demands that readers are “attentive” at least 50% of the time. Understand, however, that many students suffer in comprehension when required to read aloud. They are so concerned with the demands of meeting the needs of an audience (volume, clarity, inflection) that they “check out” from comprehending. It’s not uncommon for a student to read aloud an entire paragraph or page, and then have no clue what was read. So paired readings also need “checkpoints” for discussion. Again, this type of reading should be chosen for a specific purpose. One purpose, for example, might be to establish common knowledge about a topic through its presentation in a number of diverse picture books. Students might read from a number of baseball picture books, for example, and then report back to the group on the perspective of the author in each. In reading for another purpose, students will read a number of picture books containing the exact same print content (The Midnight Ride of Paul Revere) with different interpretations of that same content by the various illustrators. Students read independently for a number of reasons, pleasure being the foremost. But as students mature, they should also read picture books as models for their own writing. This makes perfect sense, as picture books are typically the length of student stories in the upper elementary and middle grades (and the length of writing tasks expected on standardized tests). 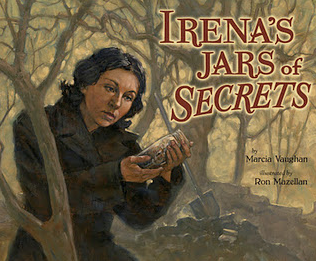 Students may also read picture books as sources of reference. A student seeking background on the Sioux tribe, for example, could attempt to wade through a difficult nonfiction text, encyclopedia entry, or web site meant for more mature readers. Or, this same student could access similar information through three or four picture books whose illustrations would aid in deciphering and extending difficult terms and concepts. 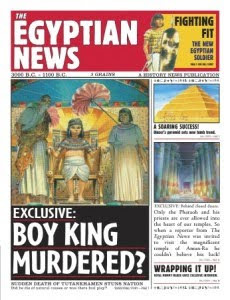 When one of my students chose to read a historical fiction novel set in Ancient Egypt, I recommended that she first read The Egyptian News by Scott Steedman. This book provided her with not only concrete images of architecture and dress, but also a solid bank of vocabulary terms and a concept of Egyptian societal roles which would greatly aid her in understanding the intrigues of her chosen chapter book. This is an approach I'd recommend for many students' literary forays into unfamiliar territories. If you need more particulars about the "how to" aspect of reading picture books with children, consult the experts. Not the authors of slick $40 "How-To" books. No, I'm talking about your colleagues in the lower grades. Ask around and you'll quickly discover who has the rep for using picture books well. My kindergarten daughter is extremely fortunate to have a teacher who loves picture books and uses them well. When I went to pick my daughter up from school the other day, I wasn't greeted with the typical "Daddeeeee!" and enthusiastic cub hug. Instead, as I entered the classroom, I immediately realized that I was trespassing upon the magical spell of story time. Not that it mattered. I wasn't even noticed. 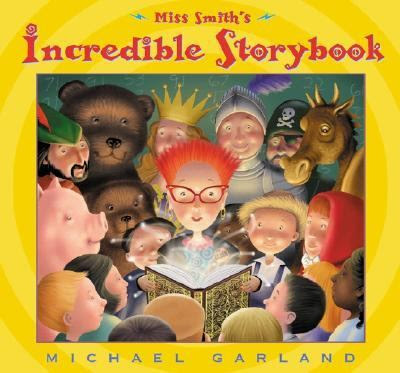 Every little pair of eyes and every little pair of ears was trained upon the teacher as she read Michael Garland's wonderful Miss Smith's Incredible Storybook. But the children weren't transfixed zombies. As the story progressed they leaned and whispered in friends' ears, eagerly pointing at the book's illustrations. And as I watched, it occurred to me that this engrossed audience of diminutive scholars was behaving in exactly the same manner as my sixth graders that very day when I had shared aloud a picture book. And each audience, in its own way, enjoyed a total understanding of the book's word and picture relationship. Yes, teacher questions would later peel away additional layers of the literary onion, but at that moment, the reading experience was nothing less than transcendent. It can be in your classroom, as well. I'd love to hear your own experience with reading picture books to your students, at any level. Another fantastic post. Thanks for sharing your ideas with us. Thank you so much for this wonderful resource. I plan on using it with my reading class as well as share it with my colleagues.